As America struggles to recover from an economic meltdown and is engulfed in two long-standing wars, the burning question now is, has President Barack Obama done a good job in office since his historic election one year ago or is he destined to suffer the same fate of Jimmy Carter and George H. W. Bush as unmemorable, ineffective, unpopular one-term chief-executives? I'm not going to get into Iraq and Afghanistan, wars which Obama's inherited and which have raged on for for eight and six years respectively. There's no quick fix, and it's going to take him some time to sort out strategy and future direction. It's simply too early to judge him here. But let's take a look at the economy. When Obama's predecessor George W. Bush took office in 2001, unemployment was at a respectable 4.2%. When he left office, it had nearly doubled to 7.6%. It stands now at 9.8%. Former president Bill Clinton left Bush with a $281-billion budget surplus, yet Bush left Obama with a $1.2-trillion deficit. The deficit is now $1.4-trillion. The national debt handed to Bush in 2001 was $5.7-trillion, and grew to $10.6-trillion by the time he left in 2008. It's currently $11.9-trillion. What does this all mean? A couple of things: first it says that Obama's economy has not materially worsened since he took office, especially as compared to the bashing it got under Bush. Next, and more importantly, it proves that Obama's $787-billion stimulus plan worked. What's critical in the analysis of Obama's performance is perspective. Let's not forget where we were last year at this time. The proverbial sky was falling. America's financial system was on the verge of collapse, a crisis not seen since the Great Depression. There was an unprecedented global economic meltdown, and for the first time in 75 years Americans contemplated withdrawing their money from banks for fear of widespread default. Credit froze, borrowing ceased, and all economic activity stopped. One year later there's appreciable GDP growth, businesses are optimistic, earnings are up, inventories are down, orders are rising, credit is flowing, borrowing has resumed and stock markets have rallied. And, monthly job losses have gone down from an average 750,000 when Bush left office to the low-mid 200's. On the economy, it's pretty safe to say that Obama and his policies have been highly effective. On another domestic front, health care, Obama has not been so successful, largely due to his own indecisiveness and unwillingness to wage a bloody fight to push through his plan. Also, timing is everything, and with the struggling economy, war and terrorism to contend with, Obama's made a huge miscalculation and error in judgement in taking on the health-care issue so early in his presidency. It's served as a major distraction, and has handed Republicans something they can sink their venomous teeth into; something that, unlike the problems he's inherited, is all his. He has no one to blame here but himself. Exacerbating the struggle is his misguided quest to be bi-partisan despite a Republican minority that has zero desire and intent to help him pass reform on any level. A party that's hell-bent on bringing down his administration at every turn. He's been straddling the fence, trying to make everyone happy, including his enemies across the aisle. Consequently, he's lost control of the issue. Nine months after taking the oath of office, while it's still way too early to label his presidency a success or failure, it is fair to conclude that he's definitely on the right track, and as far as the economy is concerned, he's brought America back from the dead. For that he deserves credit. On the foreign stage, given all that Bush left him, he also deserves a little more time to intelligently assess strategy for Iraq and Afghanistan. We've already had eight years of catastrophic military ineptitude. It's actually quite refreshing to have a president who's carefully weighing all options before committing troops to battle. But these are definitely now his wars to wage and/or end, and time is running out on his honeymoon. He needs to formulate a plan, and soon. On another note, the film I produced, SERIOUS MOONLIGHT, which was written by my late wife Adrienne Shelly (WAITRESS), will have its U.S. premiere and afterparty December 3rd in NYC. This event will also serve as the 2009 Adrienne Shelly Foundation fundraising gala, and proceeds will go towards helping ASF achieve its mission of supporting women filmmakers. Tickets are $150. Please join me, our stars Meg Ryan and Timothy Hutton, our director Cheryl Hines and others at this red-carpet event. Tickets are extremely limited (only 40 left!). To purchase, please call Jessica at 212-381-1716. ASF is a 501 c 3 tax-exempt, non-profit organization which provides scholarships, grants, finishing funds, screenwriting fellowships and living stipends at NYU's Tisch School of the Arts/Kanbar Institute of Film; Columbia University; American Film Institute; Women in Film; IFP; the Nantucket Film Festival; the Tribeca Film Institute; and the Sundance Institute. Your generous contribution will go a long way towards helping us achieve this very important mission. Please click here to make a donation. Thank you. The image of the country has dramatically changed abroad. Even before the elections, in France students had organized the French Support Committee for Barack Obama with 3,500 members including Bertrand Delanoe, the mayor of Paris and former Prime Minister Edith Cresson. The founder of the group said “ I am a world citizen, and what you do will affect us ... If we see that the U.S. is changing, it's good for all of us. ..Everything is moving. 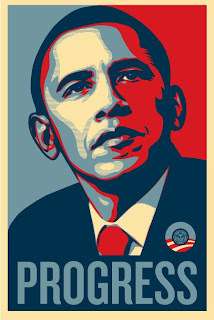 Obama is a symbol of this new evolution." And evolution is what –I believe- his legacy will be built on. Although universal health is not news to Europeans, they sure take the lead from us on alternative energy initiatives and the promising job generator prospects this evolution entails. In his MIT visit he spoke of the global competition in the technologies that will power the 21st century. “The nation that wins this competition will be the nation that leads the global economy,” he said. The message has been strong and more kids want hybrids, more people are looking into installing double-paned windows and solar panels, and students are travelling to Denmark to see from up-close innovation in wind power. Imagine if we pull this one off. What kind of legacy, all of us, will leave to our children! Americans still want instant fixes and the mess Obama was handed does not lend to instant fixes. I believe with all the NO Repubs he and the congress has had to deal with, they have done pretty good. If health care reform can be passed with a public option, then it will be a win for Obama. The Repubs will use tomorrow's elections as a referendum on Obama. I'm not so sure. In an emergency we need 911 or and ambulance to rush us to a capable doctor, no matter how we got into our position of need. I am no better off than I was when Obama became President and I see things only getting worse for me and others in my "demographic." Obama deserves an incomplete at best. I agree with you Andy - his priorities are misguided. Health care ought not to be the issue that is getting the administration and Congresses undivided attention. The economy is the issue that is front and center in the minds of the largest segment of Americans. Health care is only a subset of that. Yet he is a very bright man and is surrounded by very bright people. I believe that his priority is extremely farsighted, which is not a good thing. I believe he wishes to define his presidency by pushing America more towards a statist social democratic society. Taking over health care is a crucial foundation block. Many activities that are related to health can thus then be regulated and I believe that is what is first and foremost on his mind - expanding the role of government in the everyday life of Americans. With the looming commercial mortgage collapse peering over the event horizon, all assessments of any successful rescue of the economy are premature. Obama's administration continues to cater to those whose malfeasance cause the crisis, ignoring the will and emotions of an angry and undefended populace whose well-being has been shattered and whose trust has been abused. Obama's first priorities should have been to use the power the voters gave him to get the American people back to work. He did not. He should have bought all the bad mortgages that we are going to pay for anyway and relieve the banks from carrying bad debt on their books. They would then have had no reason to hoard all of the taxpayer-funded TARP money. He did not. He continues to promote and defend legal fallacies foisted upon the American people by the Bush cabal, and there is a growing concern that renditions have again occurred while under his watch. He is sworn to protect and defend the Constitution, yet he continues to treat it like a soiled piece of recycled paper. Just who is he president of? It's easy to forgive him for the wars continuing, for there is evidence that the US military officer corps is about to mutiny. There is evidence to demonstrate that Obama would have made a much better Secretary of State than a President, as so many of his predecessors did. But there is no evidence to show that Obama cares one whit for those who took a risk and voted for him, hoping against hope that he would make things better as he implied he would. On the issues which count most to Americans, Obama is failing - and the votes in VA, NJ, and maybe even in NY-23 indicate as much. Watch for the GOP resurgence fueled by these victories, and watch Obama trip over his clay feet. He has led the Democrats from victory to the edge of defeat, and it will be the American people who pay for his hubris. In this, he fails us the most. Palin Forces Oprah Off Television! Was This Magazine Cover of Obama "Sexist?" Katie Couric Should Be Fired!